Sick Food: Detox Chicken-less Noodle Soup. I don't know about you, but when I'm ill there are few foods that sound good. When I was little, my mom would always fix me my favorite "sick foods": oatmeal (of course! ), cinnamon toast, hot lemon water, and chicken noodle soup. There's just something healing about a bowl of chicken noodle soup...the spices, the smell, the hot broth on a sore throat. It's the perfect comfort food. Well, I woke up with a sore throat this morning and have been loading up on Vitamin C and antioxidant rich foods. But I wanted to try to recreate my favorite sick food, minus the chicken, of course. I was pleasantly surprised how much this tasted like my childhood favorite! The combination of ingredients really worked well. The next time you find yourself under the weather (which I hope is NOT SOON! 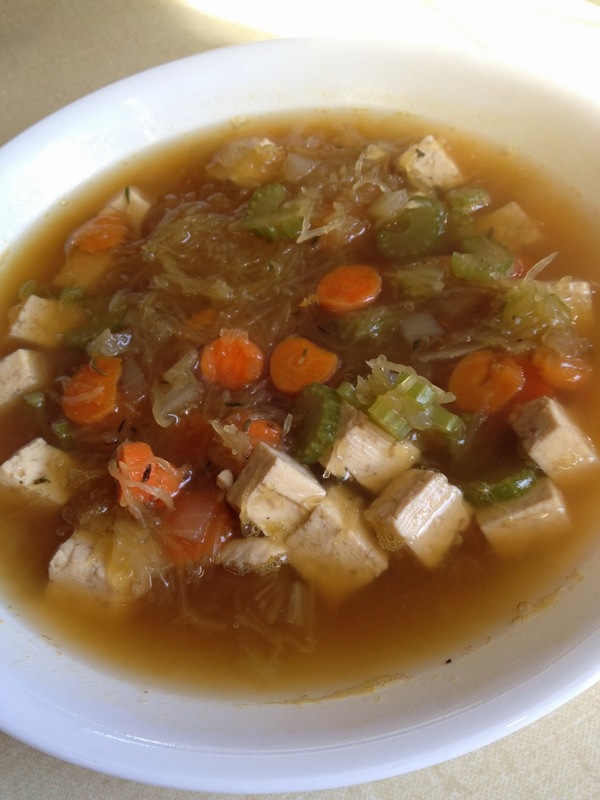 ), give this soup a try; I think you'll enjoy it. 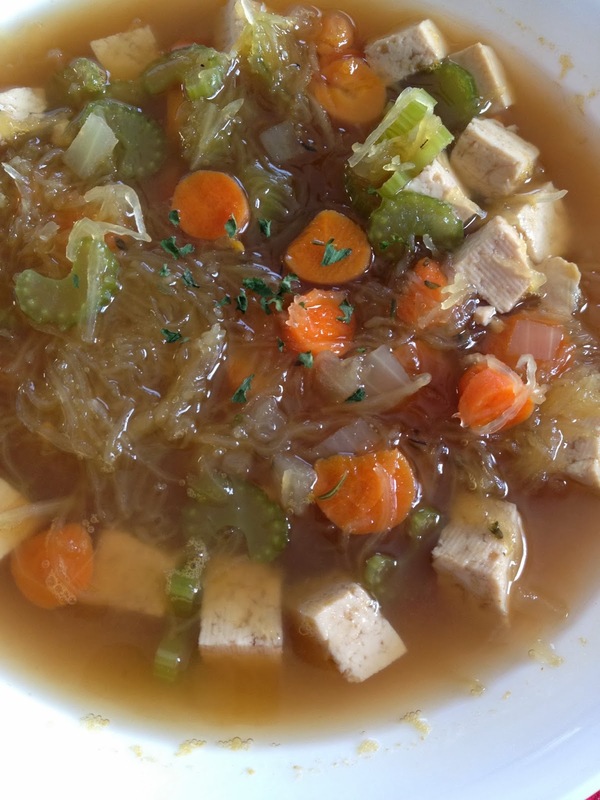 Detox Chicken-less Noodle Soup; Vegan, Gluten Free. Serves One. In a small soup pot, sauté onion, carrots, and celery in 1/3 Cup veggie broth over medium heat. Cook until carrots are tender, about 5 minutes. Add spices, excluding parsley, and stir well to combine. Add 1 Cup water (more if desired), 1 T liquid aminos, and tofu cubes. Bring to a boil and simmer for 5-7 minutes. Add spaghetti squash, stir gently to loosen strands, and simmer for 5 minutes. Pour into large bowl and garnish with parsley flakes, if desired. Serve hot. I've seen and heard a lot lately about the amazing things people are doing with avocados. I mean, it's unbelievable, really. In smoothies, puddings, baked goods; you name it, avocado can do it! I have to admit, I was hesitant to jump on this bandwagon. It just seemed strange to me. I had always thought of avocado as being used for guacamole, on toast, or in savory dishes...not in sweets! But a couple nights ago I was feeling adventurous. I had opened a can of pumpkin earlier this week and had the remainders sitting in the fridge. I had seen lots of avocado pudding recipes floating around and thought I might try to create one. I'm SO glad I did. 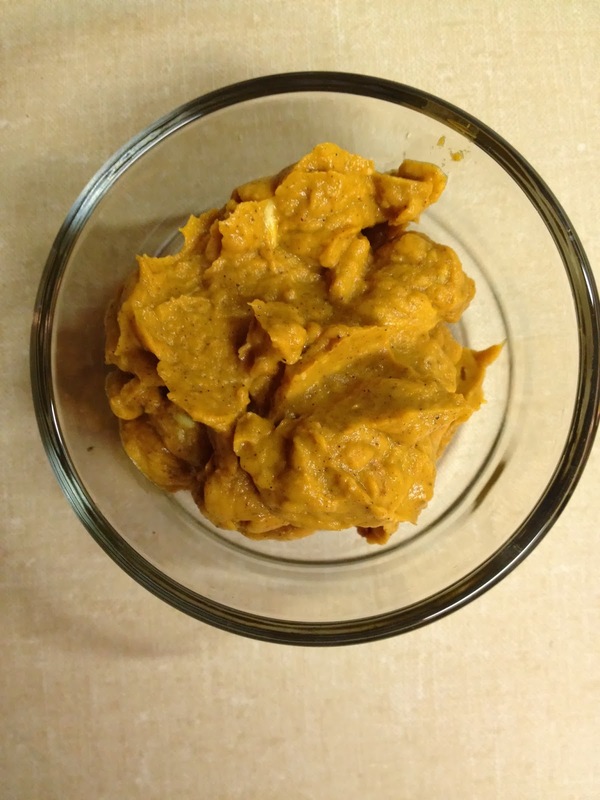 Secret Ingredient Pumpkin Pudding; Vegan, Gluten Free. Serves One. This couldn't be easier. Add all ingredients to mini food processor and blend very well, adding splashes of water and scraping down sides as needed. Funny story. Before I went vegan, I absolutely hated Mexican food. I mean...BIG time hate. If you've read my "About Me" page, you'll recall that part of the reason I went vegan was because of my terrible stomach problems. Mexican food just didn't, um, "sit" well. But since going completely plant-based (and my stomach issues disappearing) I've become more adventurous when it comes to ethnic food. I've learned that when you remove all the fat, oil, sugar and other processed junk, Mexican food can be really enjoyable! Crisp veggies, aromatic cilantro, and spicy salsa. I may have found a new love. 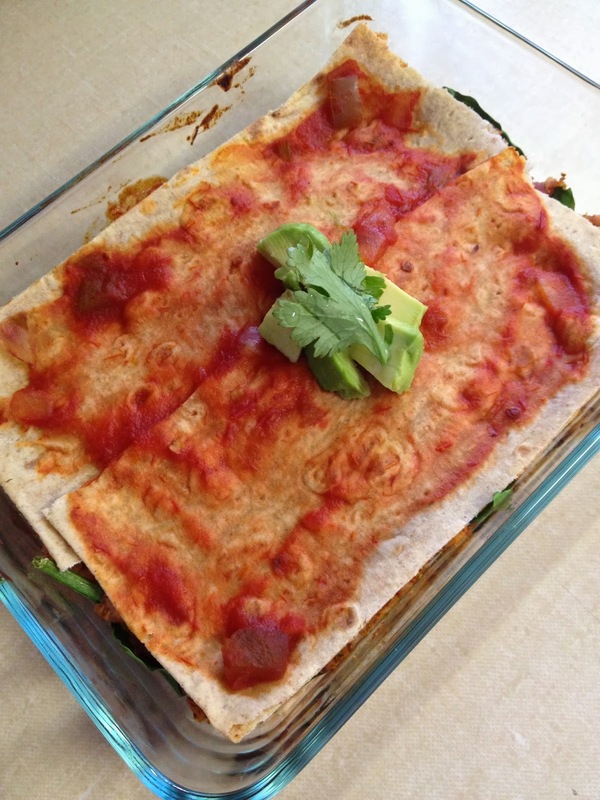 Mexican Tortilla Lasagna; Vegan. Serves One. Spread 1/4 cup salsa on the bottom of a small lasagna dish. Set aside. Cut tortilla into wide strips and set aside. In medium-sized microwavable bowl, combine TVP granules with a scant 1/3 cup water. Microwave on HIGH power for 1 minute. Remove from microwave and stir in 2 T ground flaxseed, corn, and 1/2 cup of salsa, reserving a bit for topping. Take a few tortilla strips (enough for one layer) and lay on bottom of dish, on top of salsa spread. Top with spinach leaves. Top spinach with TVP mixture and spread evenly. Add another tortilla layer and top with a bit of salsa. Bake uncovered for 15 minutes. Top with avocado slices and cilantro. I used a very large lavash-type wrap and had quite a bit of tortilla left over. You could double the tortilla strips per layer, or just use one tortilla. If you prefer a "saucier" lasagna, use more salsa. I served this alongside a side salad with Mexican-style veggies. 15-Minute Creamy Tomato Soup (Seriously). This soup. Swoon. Ultra-creamy, super-easy, sheer perfection. Rich cashews paired with light seasonings, tangy tomatoes, and lusciously creamy almond milk. Are you drooling yet? I haven't even mentioned the best part. From start to finish this bowl of goodness takes 15 minutes. No joke! From the time I plugged in my beloved Vitamix to the time I grabbed my spoon, only 15 minutes had elapsed. Not too shabby! This soup is perfect to make on those "I have no idea what to make tonight, but I'm starving nonetheless" nights. Go ahead and try it...you won't be sorry. 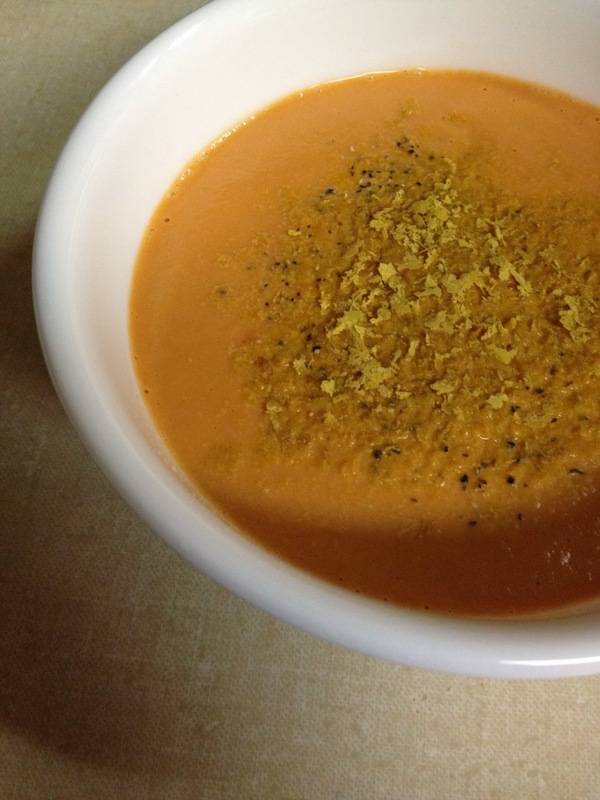 15-Minute Creamy Tomato Soup; Vegan, Gluten-Free. Serves One. Heat a non-stick skillet over medium heat. Sauté the onion and garlic in 1 T veggie broth until softened. Add water as needed to prevent sticking. Once caramelized, add basil and oregano. Cook until liquid is gone. Add cashews and milk to a high-speed blender (I used a Vitamix) and blend from low-high. Blend at highest speed for about 45 seconds to 1 minute. Carefully remove lid of blender and add tomatoes, onion mixture, and a dash of liquid aminos. Secure lid and blend, starting at low speed and stopping at highest speed. Blend on high for 5-7 minutes. Let sit in blender for about 2 minutes to prevent splattering when lid is removed. Remove lid and pour into small bowl. 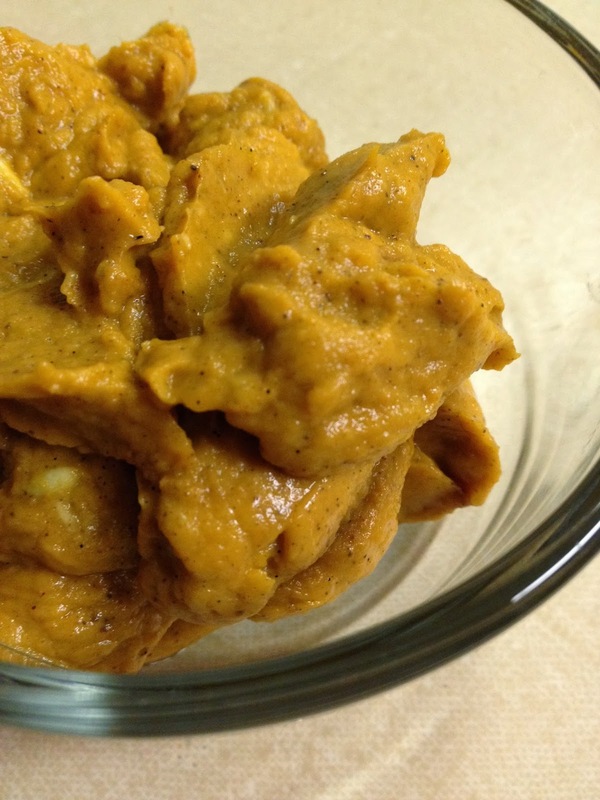 Season with black pepper and nooch, if desired. 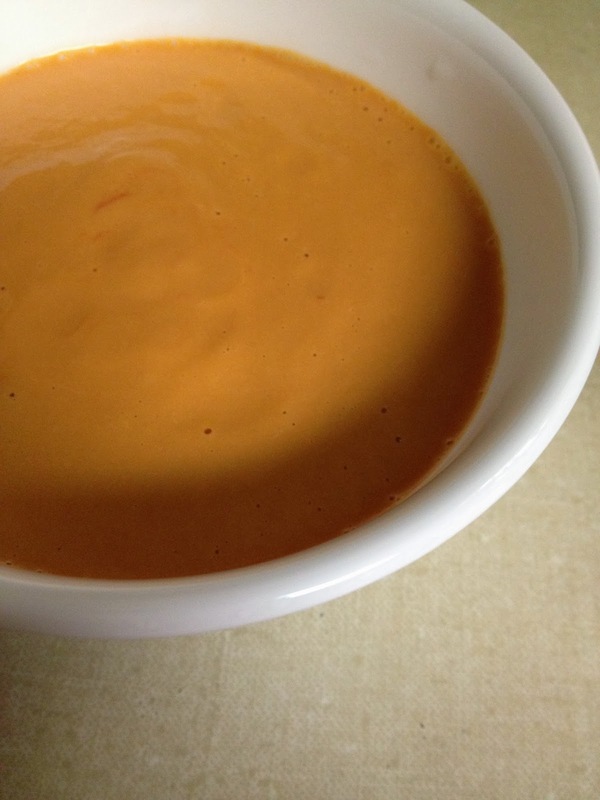 15-Minute Creamy Tomato Soup. Ready for devouring.